Music, nature and local food and an aquavit trail are just some of the incentive activities available for groups in Trondheim, Norway's third largest city. Rock around the clock: Trondheim is often referred to as Norway’s capital of music. 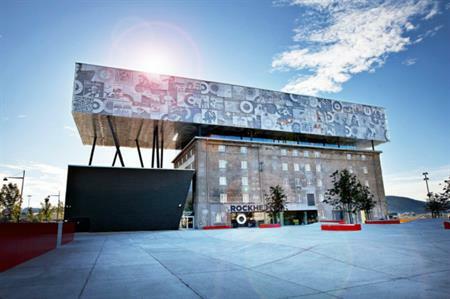 For an entertaining and music-themed incentive trip, groups can visit Trondheim's pop and rock museum Rockheim and put their singing, guitar playing and mixing skills to the test, performing a song on stage at the end of the day. Groups can also visit Ringve, Norway’s museum for classical music and musical instruments, where they can learn about Norwegian and international composers and try out different instruments. Historic aquavit trail: Groups can opt for a half-day tailor-made trail themed around aquavit - an alcoholic spirit made from potatoes and herbs. The aquavit trail goes to a number of places in the Trondheim region, with menus containing aquavit as well as a selection of local dishes. Groups will also visit the farmers who grow the caraway seeds that are used to flavour the drink and the distillery where aquavit is produced today. Nordic nature and local food: To explore the best of local produce, groups can go on mushroom-picking or berry-picking hikes, looking for cloudberries, blueberries, wild strawberries and lingonberries, which will be included in a meal later in the day. The forest hikes are combined with cookery classes, a visit to one of the microbreweries and a food trail along the Nidelven River.